Hair and skin are the beauty standard since ancient time. Having a glowing flawless skin and healthy shiny hair will make you beautiful and attractive. 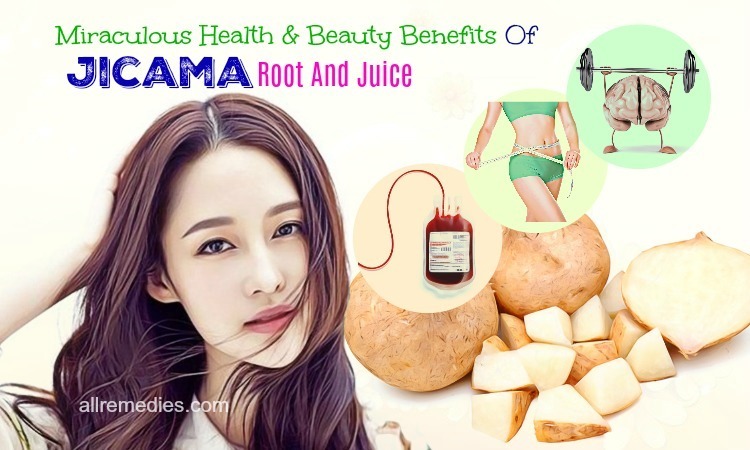 Now, when the people notice the importance of healthy hair and healthy skin, they want to try many different ways on how to have beautiful healthy hair and skin. 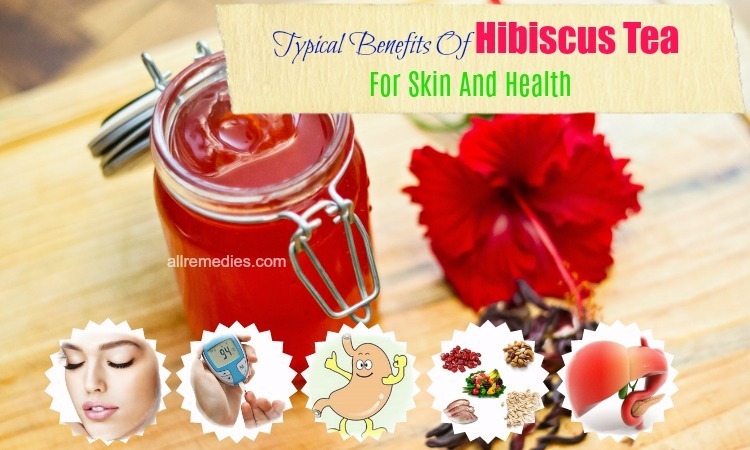 This is the reason why many skin care creams, emulsions, serums, essences and hair conditioners have been introduced in the market with the promise that they will make people beautiful and attractive. 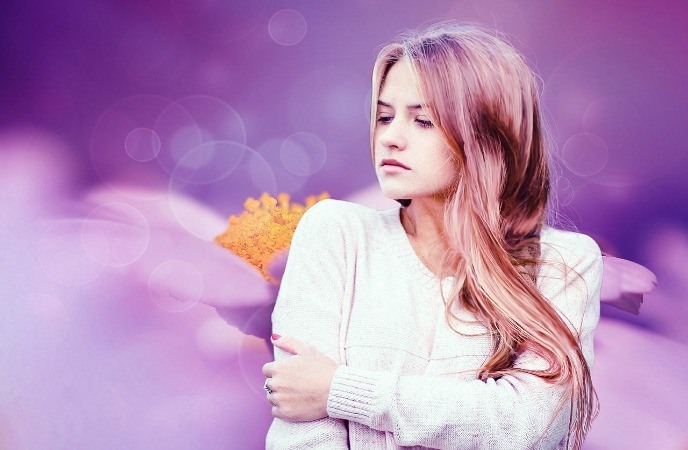 However, we always wonder how these products can actually work for our skin and hair, which questionable harmful chemicals are in these products and whether it has unwanted side effects. Some people experience acne breakouts and hair damage after using these cosmetic skin care products. Moreover, some harmful ingredients in skin care and hair products may increase the risk of cancer as well as other ailments if you use it for a long time. It is time for us to skin these products and look for the natural solutions for our skin and hair. 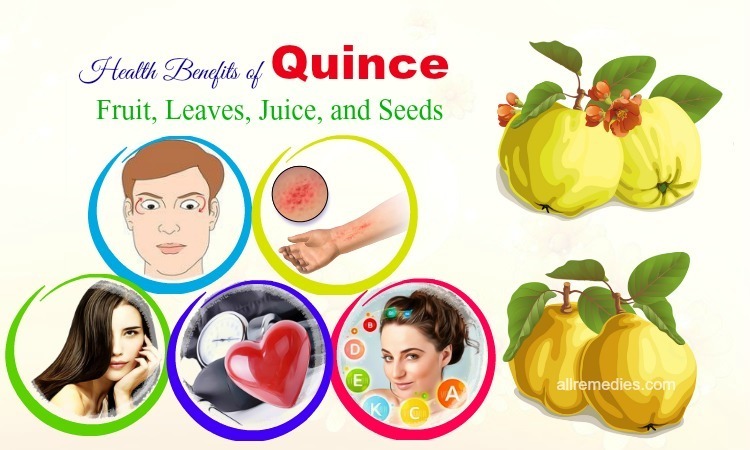 There are many natural ingredients, which are beneficial for your skin and hair. You can find these ingredients available in your kitchen and local stores. One of the excellent remedies that I would like to introduce to you in this article is avocado oil. Let’s find out how effective and helpful avocado oil for skin and hair care is. Everyone knows that avocado is one of the healthiest super foods in the world. It is said that eating just one avocado daily will keep you healthy and beautiful by smoothing your skin, boosting the immune system, improving circulatory function, keeping hormones in balance. Avocado is recommended including in your healthy diet which should be combined with regular exercise for the maximum benefits for your beauty and your health. 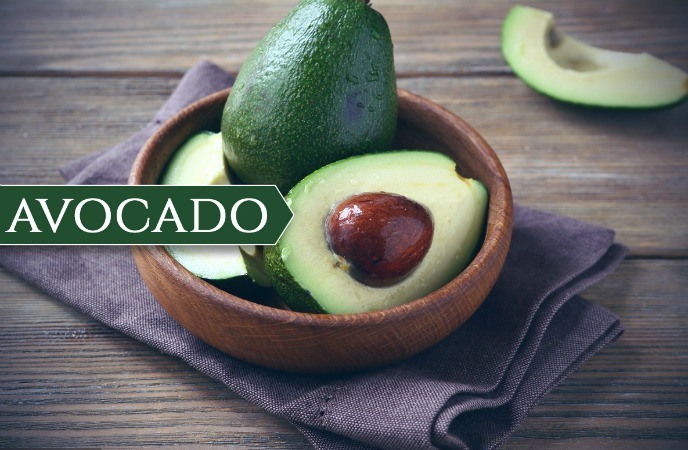 The secret of avocado lies in its oil which contains 77% of an avocado’s overall calorie. Avocado oil which is extracted from avocado fruit is the great source of nutrients and vitamins. These nutrients and vitamins are beneficial for your skin and hair including proteins, fats, antioxidants, sterolins, potassium, and lecithin. There are more innumerable nutrients contained in avocado oil that make you consider using this remedy for your skin and hair. It is recommended purchasing 100% pure, cold-compressed avocado oil. 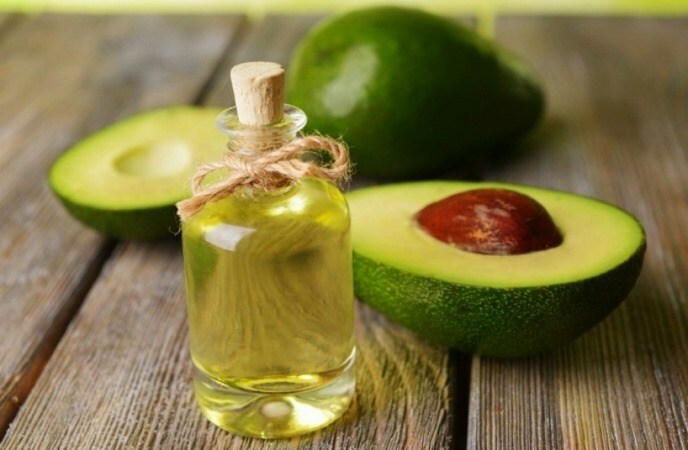 Here are the benefits of avocado oil for skin care and hair and the different ways on how to use it that I would like to introduce to you in AllRemedies. Talking about avocado oil for skin care and hair, you need to mention oleic acid, the monounsaturated fatty acid that has many benefits. Firstly, oleic acid is necessary for your body because it can lower the risk of developing some certain cancer, keep auto-immune diseases at bay, encourage cell regeneration, fasten the wound healing process, and eliminate microbial infections. For your skin, oleic acid is beneficial too. Although some people are afraid that oleic acid can cause acne problems and make the condition get worse. Oleic acid actually hydrates and nourishes your skin from inside out. This is the reason people who eat avocado on the regular basis have more beautiful hydrated skin the others who do not eat. It is said that high-oleic oils including almond oil, olive oil, coconut oil, safflower oil, and avocado oil are suitable for dry skin. This is because high-oleic acid oils have heavier moisture than your favorite night cream. High-oleic oils are rich in antioxidants; therefore both consuming and applying topically will slow down the aging process and prevent aging related signs such as wrinkles, fine lines and spots. Avocado oil has the great source of oleic acid. Moreover, oleic acid has antioxidant properties. Therefore, unlike other oils, avocado oil will not become rancid quickly when it is stored for a long period of time. Because of stable ability of oleic acid, you can cook avocado oil at the high temperature (sauté, stir fry, etc) without losing any nutrients or health benefits as other oils. Avocado oil is one of the most vitamin-E-rich oils in the world. Vitamin E oil is the fat-soluble oil which is well-known for keeping skin and eye healthy, preventing cell damage, fighting against free-radicals, boosting your immune system, improving mental and memory acuity, and enhancing the efficiency of your digestive tract. If you want to have glowing and gorgeous skin, you should not ignore the importance of vitamin E. Vitamin E has antioxidant properties; therefore, it can help your skin fight against the free radicals which cause skin damage and break down skin collagen. Studies showed that taking vitamin E on the regular basis will lower the risk of sunburn when your skin exposed to UVB radiation. It does not mean that taking vitamin E or applying vitamin E topically will make sure that you bake safely in the sun. However, it will keep your skin look supple and healthy. Therefore, it is necessary for you to take enough vitamin E in your diet. Our body can absorb vitamin E quickly and efficiently from the food than from the supplements. Therefore, it will definitely make you consider adding organic cold-pressed avocado oil in your daily diet. When harmful radicals, toxins, as well as heavy metals such as mercury, accumulate much in your body and your skin, it will make your skin become dull and unhealthy. Avocado oil has the great source of chlorophyll, which is a natural source of magnesium. 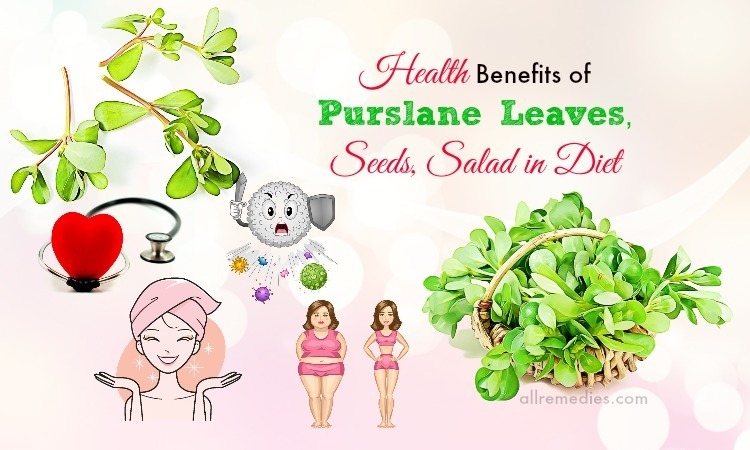 This well-known natural substance plays the important role in removing toxins, harmful radicals, and heavy metals from your body and your skin, leaving your skin healthy and bright. Magnesium iron which lies in the core of chlorophyll molecule will release when it meets acidic environment. 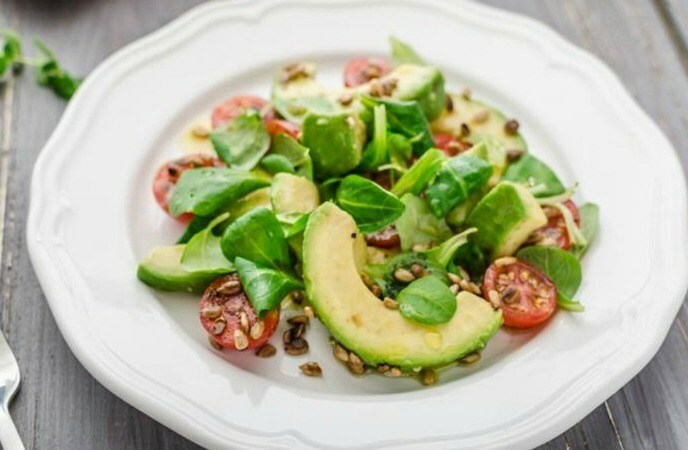 It is recommended adding avocado oil as dressing in salad and other foods in order to benefit from detoxifying chlorophyll power. The minerals and vitamins loaded in avocado oil will nourish your body and your skin from inside when you consume avocado oil. Moreover, when it is applied, it also helps to keep your skin healthy. Avocado oil has strong moisturizing properties; therefore, it will boost the new cells generation and keep these cells healthy, strong. The possible reason may be that potassium and vitamin E, as well as lecithin which are helpful and necessary nutrients for your skin, can be absorbed easily into the outer layer of your skin and go into the dermis. In the dermis, these necessary nutrients will aid in the growth of new healthy skin cells and strengthen the existing skin cells. Therefore, it is important for you to keep your skin healthy and beautiful by adding avocado oil in your daily diet or take a little avocado oil to apply on your face before bedtime. It is recommended consuming or applying avocado oil regularly in order to have a satisfactory result. Another benefit of avocado oil for skin and hair is growing hair faster. The nutrients in avocado will be effective in nourishing your hair. It is said that applying avocado on your hair will improve the structure and the appearance of your hair. 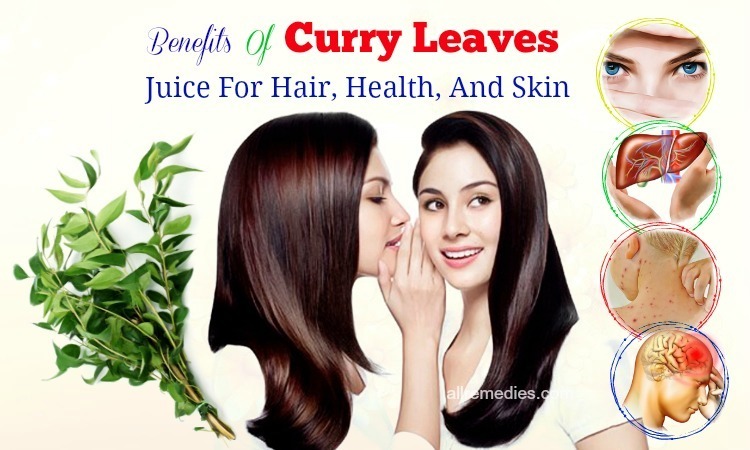 Moreover, it will fasten the process of growing your hair and make your hair healthier. If you want to have a beautiful long hair in the short time, follow these steps. If you want to get rid of avocado oil residues from you hair completely, you can wash your hair again with normal shampoo. It is recommended doing this hair treatment several times a week for a few weeks until you can see the satisfactory result. You should not rinse your hair daily or more than 3 times a week because it will damage the structure of your hair. Too much hair cleansing is not good. Alleviating itching and inflammation is another benefit of avocado oil for skin care and hair that you should know. This is because avocado oil has the high concentration of oleic acid which is well-known for anti-inflammatory properties. Therefore, when applied topically, avocado oil will help you to treat inflammation, itching as well as the discomfort caused by many skin conditions such as cracked heels, sunburn, insect bites and keratosis pilaris. Avocado oil is too thick to soak away as quickly as other natural oils. If you want to get the significant the relief from discomfort caused by many skin diseases and conditions, you just need to apply a thin coating of avocado oil for the soothing effects. However, the reaction and efficiency of avocado oil in treating inflammation, and itching is not the same in an individual. Avocado oil may cause skin irritation or allergic reaction in some people. Therefore, it is important for you to test one or two drops of avocado oil in a small patch of your skin before applying avocado oil on larger areas of your body in order to make sure that it will be easily removed and does not cause any allergic reaction to your skin. If you are suffering from painful and irritated wounds on your skin, you can use avocado oil as the effective remedy that helps you to find the significant relief. Avocado oil is effective in boosting the new skin regeneration and keeping your existing skin cells healthier, stronger. 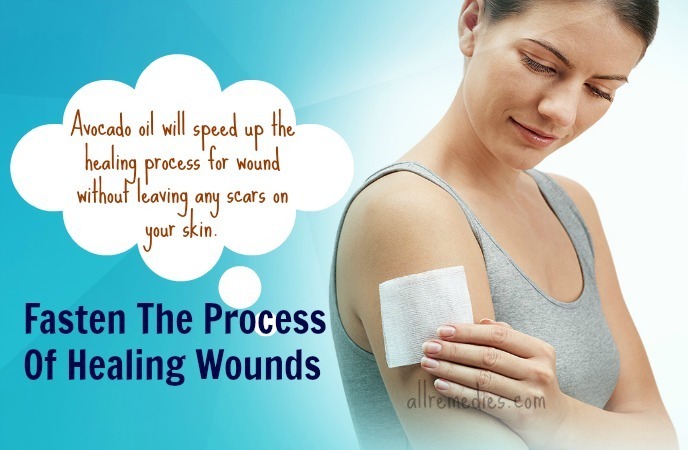 Therefore, avocado oil will speed up the healing process for wound without leaving any scars on your skin. All things you need to do is cleaning your affected skin where you have wounds and then apply one or two drops of avocado oil on it. 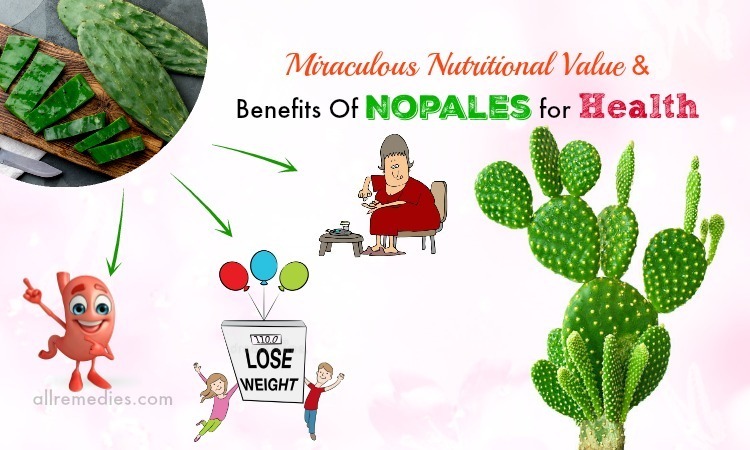 For the great result, you should repeat this treatment several times a day for a few days or weeks until the wounds have been treated completely. Collagen plays the important role in keeping your skin look smooth, firm and rejuvenated. However, when we age, because of some certain factors including polluted environment, deteriorating immune system, hormone imbalance, and nutrient deficiency, the collagen decrease overtime while the process of generating collagen is slow. As a result, we will develop some signs of aging such as wrinkles, fine lines and dark spots on our skin. The question is how we can do to improve the collagen generation and maintain our young appearance. Some people take collagen consumption or use collagen mask in order to increase collagen in your body and your skin. However, there are not enough evidences and scientific studies showing the effectiveness of these methods. Some studies found out that it is difficult for collagen to be absorbed into your body and your skin when it is consumed or applied. Fortunately, there are natural solutions that boosting the process of generating collagen in your body and your skin effectively without causing unwanted side effects. One of these helpful solutions is applying avocado oil topically on your skin. It is the benefit of avocado oil for skin care. When applied topically, this oil will boost the production of collagen in your skin, leaving your skin look firm and smooth. Moreover, avocado oil also helps you to fight against the aging signal such as fine lines and wrinkles as well as other age-related signals. Because of chemical composition of avocado oil, this oil has significant benefits of retaining water in your skin. As a result, it will make your skin soft and supple. This is the reason why avocado oil is often added into many cosmetics and lotions as well as other skin care products which are specially designed for dry skin. However, you do not need to buy these expensive skin care products in order to get the benefits of avocado oil for skin care. Applying avocado oil on your skin before bed time is the only thing you need to do. It is simple, is not it? Moreover, it is recommended adding avocado oil in your daily meal in order to nourish your skin from inside. One of the benefits of avocado oil for skin care is the ability to soothe your irritated skin and providing moisture for dry skin. When applied topically, this oil will be absorbed into your skin easily and effectively. Avocado oil can be used as the excellent moisturizer for all skin types but especially for dry skin. It is the great idea to use avocado oil in winter as a natural moisturizer which can substitute for chemical-based skin care creams. Take a little of avocado oil on your hand. Rub your hands together to make avocado oil warm a little bit. Making avocado oil warm will help the nutrients and moisture of avocado oil to be absorbed into the outer layer of your skin and go into the dermis quickly and effectively. Some people may worry that this avocado oil may cause acne problems and worsen skin condition. The possible explanation may be that avocado oil is too thick. If you have dry skin type, it will become the best moisturizer. However, if you have oily skin or acne-prone skin, avocado oil may not help. The good alternative solutions are using olive oil or green tea oil, which can be removed easily and quickly. When you have oily skin, you should not leave any natural oils on your skin overnight. Using it as the effective cleanser to get rid of the existing oil in your face is recommended. 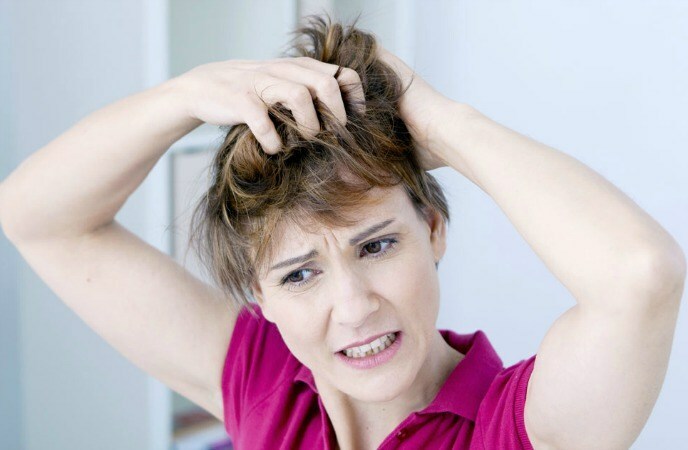 Your dandruff problem, your broken hair, as well as irritated, itchy scalp may be caused by scalp weakness. It is said that long exposure to UV rays may increase the risk of developing scalp problems and conditions. UV rays may weaken your scalp. In this case, avocado oil is the best excellent remedy. Applying avocado oil on your scalp when you cleansing your hair and massaging your scalp with avocado will effectively lower the effects of UV rays on your scalp; as a result, it will make your scalp healthy. Moreover, using avocado oil also help you to stimulate the growth of your hair. Therefore, it is recommended using avocado oil on the regular basis. The signs and signals of eczema include inflamed and irritated skin, severe itchy blisters as well as red rashes appearing on the affected areas. Eczema can occur on your face. Other affected areas are your elbow creases and knee, chest, ankles and wrists, neck, back and scalp. The possible exact causes of eczema are still remained unknown; however, it is believed that unhealthy diet and environment triggers may increase the risk of developing eczema. 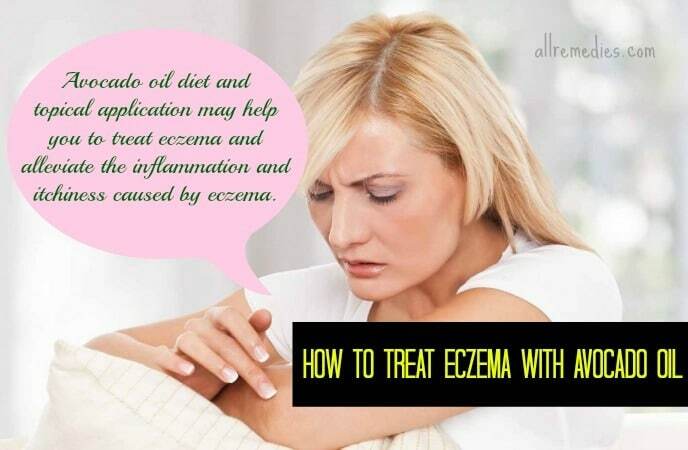 Researchers have found out that patients who experience eczema may have fatty acid deficiency. These fatty acids play the important role in improving your skin moisture and alleviate skin inflammation caused by a number of skin conditions. This is the reason why avocado oil diet and topical application may help you to treat eczema and alleviate the inflammation and itchiness caused by eczema. Avocado oil may not help to cure eczema completely as you expected. However, the high fatty acid content in avocado oil is effective in reducing the symptoms of eczema. Recent studies have shown that using processed vegetable oils (safflower, cottonseed, corn, and soybean oil) may activate the 5-LOX enzyme in your skin; as a result, it boosts the action of inflammatory compounds known as leukotrienes. The higher level of leukotrienes is, the worse eczema condition becomes. 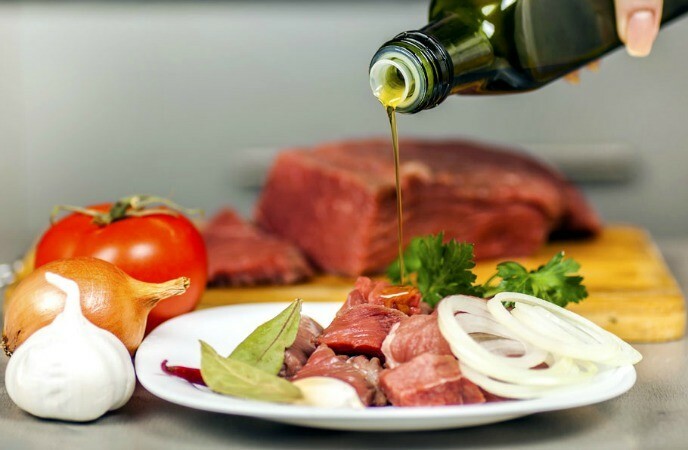 Therefore, if you want to improve eczema condition, you need to decrease the ratio and amount of omega-6 fatty acids in your diet. Changing your cooking oil with avocado oil is the important step to reduce the omega-6 fatty acids intake. It is important for you to balance the ratio of omega-6 fatty acids with a good source of omega-3 fatty acids. Omega-3 fatty acids are effective in alleviating inflammation and preventing autoimmune disease. 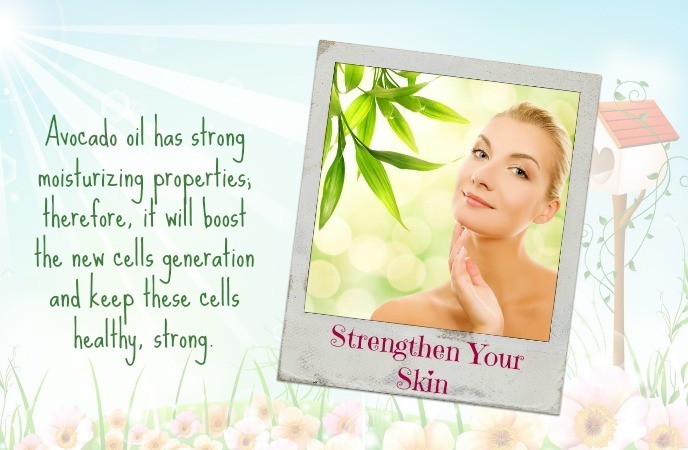 This is the reason why taking avocado oil as wells as other good oils are important to have a healthy body and skin. Besides substituting cooking oil with avocado oil, another way on how to treat eczema with avocado oil is applying topically. In order to have a satisfactory result, you should repeat this treatment regularly. Other natural home remedies for eczema include aloe vera, coconut oil, honey, fish oil, green tea, rosemary, and walnut leaves. Psoriasis is a non-contagious skin problem which has symptoms such as rough, dry skin patches, and scaly skin with red, inflamed border surrounding. When you are suffering from psoriasis, the affected areas will be itching, cracked, and painful. It is the common skin disease. It is estimated that this problem affects 6 million people in the USA. If you get diagnosed with severe psoriasis, you will need to be treated by a healthcare professional, who can understand the underlying causes of this problem and have many experiences of treating psoriasis successfully. If you have mild psoriasis, there are many natural solutions that give you the significant relief for psoriasis. Although avocado oil will not help to treat eczema completely, many patients with psoriasis said that regular topical application of psoriasis reduces the symptoms of psoriasis significantly. Among other natural oils, avocado oil is considered to be the most penetrative. Moreover, it is good for dry skin. Although psoriasis is more serious than dry skin problem, it will help you to reduce the symptoms of eczema such as cracked rough skin as well as irritating itchiness thanks to its deep long lasting moisturizing properties. In order to use avocado oil for psoriasis as one of benefits of avocado oil for skin care, I would like to share with you the simple method in this article. In this solution on how to get rid of psoriasis symptoms, all the ingredients you will need are avocado oil and fish oil. 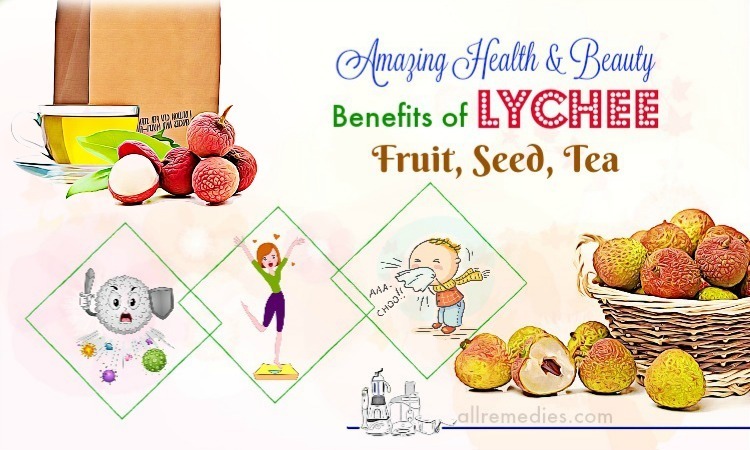 It is recommended testing these two ingredients on a small area to check whether it has any negative reactions before applying it fully on the affected areas. If you want to treat larger psoriasis areas, you can blend the avocado oil and the omega-3 rich fish oil and then apply it on the affected areas. Make sure that you purchase the 100 % pure cold pressed avocado oil for the high antioxidant content and fish oil which has high EPA/DHA content. You should treat avocado oil or any other treatment gently. This is because hard rubbing will cause counterproductive effects and worsen psoriasis symptoms. Asking for the benefits and uses of avocado oil for skin care, we need to mention its ability to prevent sunburn naturally and effectively. The sun many have many positive effects for our health and skin such as vitamin D absorption, enjoyment, relaxing and rest. However, excessive sun bathing as well as insufficient UV protection will bring some skin problem including sunburn. 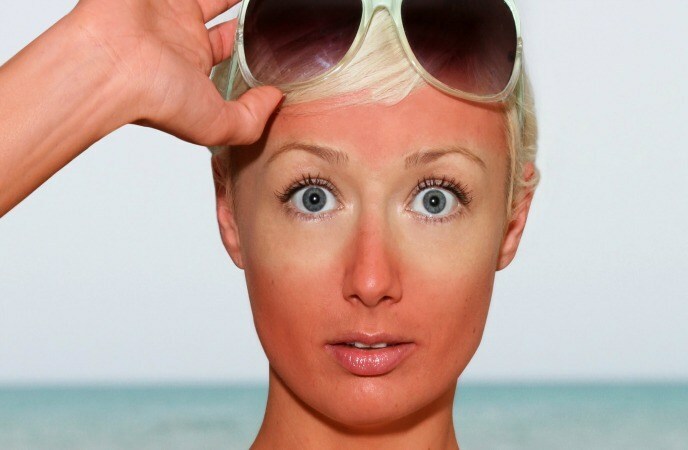 When you experience sunburn, your skin will be tense and bright red. Heavy sunburn may lead to peeling and blisters. As a result, it will damage your skin and affect its lowest layers. Therefore, you need to see the importance of adequate sun protection which will help to lower the effects of the sun on your skin. Some people buy organic cosmetics and natural skin care products that help to increase the skin protection against UV rays. However, you cannot need to buy these cosmetics or sunscreen if you know that avocado oil is considered as the natural sunscreen products. Long time ago, people used vegetable oils and fats to reduce the millennia production which is cause of sunburn and brown skin. Some scientific studies, sesame oil and avocado oil have the highest natural SPF among the vegetable oils. Avocado oil is loaded with a lot of healthy fatty acids such as oleic acid and linoleic acid. Moreover, avocado oil is rich in natural vitamins. Avocado oil has high palmitic acid content; therefore, it is absorbed into your skin quickly, leaving your skin look smooth and firm. A thing coat of avocado oil will form the skin protective layer which can protect your skin from direct external influences. Moreover, the benefit of avocado oil is protecting your skin against UV rays from inside. It is the great idea for you to adding avocado oil in your daily diet. Avocado oil can act as the natural sunscreen. If you are suffering from dandruff and it cause discomfort to your scalp, avocado oil will give you the significant relief. Using avocado oil when you cleanse your hair will help to treat dandruff effectively. Make sure that when applying avocado oil on your scalp and hair, you should massage your scalp in circular motion in order to enhance the absorption. Asking for the benefits and uses of avocado oil for skin and hair, you should not ignore its moisturizing effects. Avocado oil can act as the natural moisturizer for your hair. Using avocado oil will help your hair and your scalp retain the moisture content. Avocado oil will prevent your hair from breaking. In this article, I would like to introduce to you the moisturizing hair mask with avocado oil. 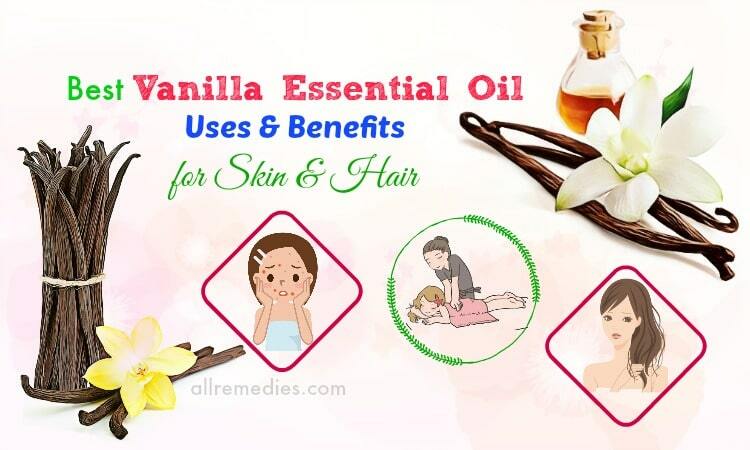 Apply this mixture to your hair from the hair scalp to the hair ends. Make sure that it covers your hair and your scalp completely. This treatment should be repeated three times a week for a few weeks in order to make your hair healthier and stronger. Avocado oil is loaded with essential vitamins which are effective in boosting hair growth and health. Specifically, vitamin B and vitamin E will boost the cellular level and strengthen your hair at the same time. Vitamin B is efficient for hair growth while vitamin E is effective in rejuvenating your hair scalp. Hair and scalp damage will be prevented by avocado oil. In order to get all the vitamins presenting in avocado oil, it is recommended using avocado oil as a hair mask or a conditioner. 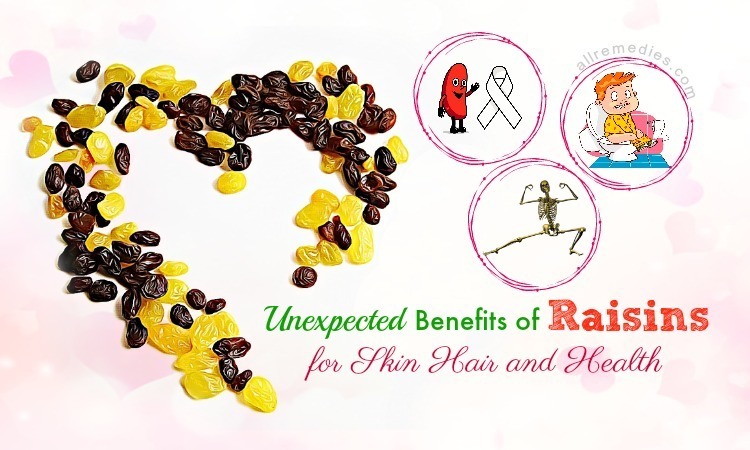 Hair loss may be caused by external stress and vitamin deficiency on your hair. Moreover, exposing the hair to extreme cold or heat may increase the risk of hair loss. Hair chemical-based products such as hair conditions and shampoos may cause some unwanted side effects including hair loss. Because of its high concentration of essential oil, it is better to use avocado oil to prevent hair loss. It is recommended combining avocado oil with your condition and hair mask in order to get the maximum benefits of vitamins in avocado oil. Avocado oil will improve your hair condition and make your hair look more elastic and soft. Avocado oil has the high fat content which helps to enhance your hair‘s texture and lower the risk of hair breakage. Another way on how to improve your hair condition is mixing mashed avocado with olive oil in order to create a fine paste. Apply the paste your hair and your scalp. Leave for a few minutes before rinsing it off with lukewarm water. It is not surprising when avocado oil has been used for hair’s condition and benefits since time memorial. This oil will not cause any unwanted side effects and you can buy it with an affordable price. Avocado oil is rich in vitamins and contains the great moisturizing properties; therefore as one of benefits of avocado for skin care, it can help to treat the cracked heel significantly and effectively. Some people may think that soaking the cracked heel in water will provide your heel moisture and give you the significant relief. However, according to Christine Lopez, a dermatologist as well as an assistant program director working at the department of dermatology at the Cleveland Clinic in Ohio, water actually dries your skin. Dr. Lopez found out that water will get rid of the essential oils of your skin, leaving your skin dry. But, if you know how to bathe in the right way, you can treat cracked heel. Because avocado oil has moisturizing effects, you should add a few drops of avocado oil in your bath and soak your affected heel for a few minutes. It is important to limit your time. It is recommended soaking for only 5 to 10 minutes. The water needs to be warm enough not to burn your skin. You can apply this treatment before bedtime and repeat it several times until you find the significant relief and complete result. Keratosis pilaris known as chicken skin is skin disorder. When you experience kerotosispilaris, your skin will appear little white or red pumps on the back of legs and arms or at the hair follicle. This is the common skin disorder. It is estimated that about 50% of the world population may be the sufferers of this skin disorder. Keratosis pilaris is caused by excess or abundance of keratin in skin. Keratin is insoluble protein which is produced by amino acids. We can find keratin available in high-protein foods such as meat and dairy. 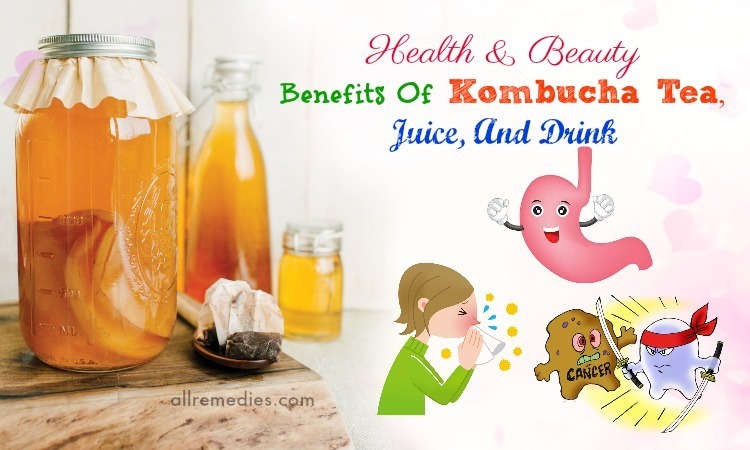 Therefore, although this disease is uncomfortable, embarrassing and annoying, it can be curable by changing your diet. Avocado oil, as well as other organic oils, such as jojoba, coconut oil can help you to treat keratosis pilaris effectively and naturally. Treating keratosis pilaris is one of benefits of avocado oil. All things you need to do are massaging one of these oils over the affected areas. If you want to have the best result, it is recommended repeating this treatment several times until the symptoms of keratosis pilaris disappear completely. Avocado oil can be used as the great eye makeup remover. The eye area is sensitive. Therefore, it requires special products to remover its makeup. However, some chemical-based removers which are available in the market many cause irritation and some unwanted side effects. It seems difficult for you to choose the suitable eye makeup remover. However, this issue can be solved with avocado oil. Using avocado oil is safe for sensitive eye skin. You just need to pour a sufficient amount of avocado oil in a cotton ball and gently remove your eye makeup in a few minutes. As one of the benefits of avocado oil for skin, avocado oil is considered as the effective solution for diaper rash because of its anti-inflammatory properties. If you want to treat diaper rash completely with avocado oil, you should repeat this treatment again. When you use avocado oil to make hair shampoo, you do not need to shampoo your hair again. You just need to wash it off with water. Using avocado for hair shampoo will nourish your hair and make you hair look healthier. If you want to have more satisfactory result, you should repeat this treatment again. Avocado oil and mashed avocado can be made a facial mask which will moisturize your skin, leaving your skin look soft and smooth. Soak a clean towel in hot water. It is the great idea if you can repeat this facial mask two or three times a week for the best achievement. You need to be patient in order to see the great result. As I mentioned before about the benefit of avocado oil in lowering the aging process and preventing the aging-related signals such as fine lines and wrinkles, avocado oil can be used to make age spot massage lotion. It is said that avocado oil is rich in sterolins, which contain moisturizing properties and antioxidant properties. Regular topical application of avocado age spot massage lotion will help to treat age spot effectively. If you use avocado oil in bathing, it will give you the soft and supple skin. 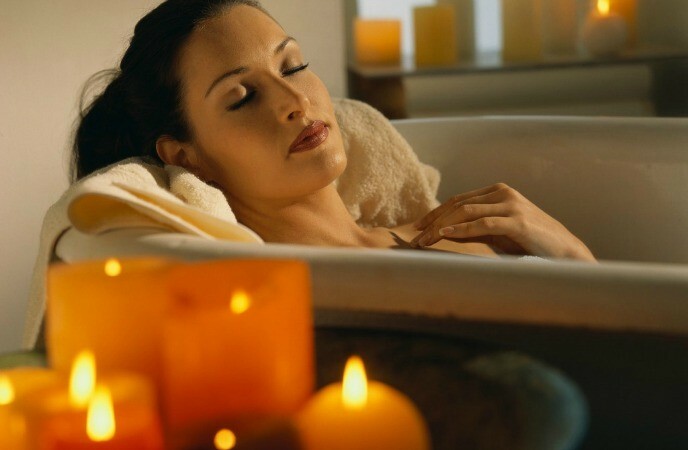 Soaking in the bath oil is the great way to relax and rejuvenate your skin. You can repeat this treatment daily if you want. 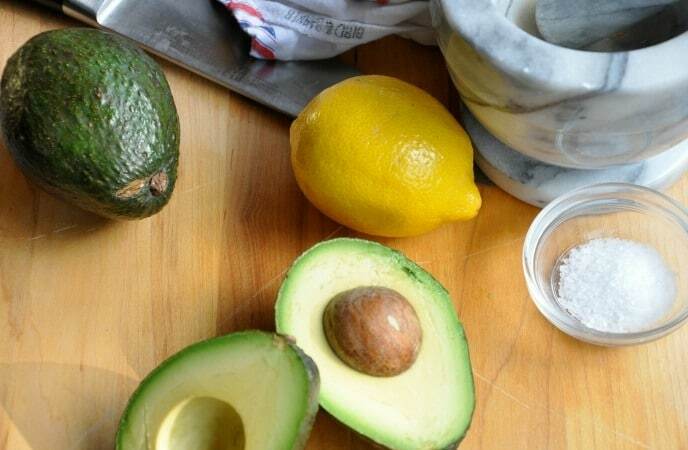 The facial mask made from avocado oil and lemon juice is effective in revitalizing and nourishing your skin. Avocado oil has moisturizing properties while lemon juice contains brightening effects. Lemon juice is often used to make lightening facial masks. Mix this paste with optional ingredients such as one tablespoon of olive oil, one tablespoon of honey, the juice of ½ an orange, or an egg white. Leave it on for 15 minutes to make sure that the skin can absorb all the nutrients and effects of avocado oil, lemon juice, olive oil, honey as well as egg white. When you remove the paste, make sure that you do it gently enough not to cause any skin damage or irritation. It is recommended splashing your face with cold water afterward in order to remove the paste and close skin pores. However, when you use this mask in order to get the benefits of avocado oil for skin care and hair, it is important to test the each ingredient in small area before. If you have allergic reaction with any ingredients, please remove it from the facial mask. There are many ways in order to get the benefits of avocado oil for skin care and hair in cooking. In this article, I would like to introduce to you some ways and recipes. For example, avocado oil is the great alternative for toast. Instead of using fruit flavored jam or butter which is loaded with excess sugars, it is the great idea to spread a little avocado oil on the toast for a healthy breakfast. If you want something sweeter, you can drizzle the avocado oil and sprinkle some cinnamon on the toast. It is believed that the cinnamon will boost your metabolism. People often use coconut oil in cooking. However, the extra saturated fats in coconut oil will cause some problems for your hair, your skin and your health. You can substitute coconut oil with avocado oil for many benefits. Moreover, avocado oil is also used for salad dressing which can give you balsamic flavor, light delicious taste, and great benefits for your skin, hair and health because of its loaded minerals and vitamins. Other recipes using avocado oil include egg swap, marinade, grilled veggies, stir fry, fruit salad, and soup and so on. Cooking with avocado oil is the great way that helps you to get all the benefits of avocado oil for skin and hair as well as health. 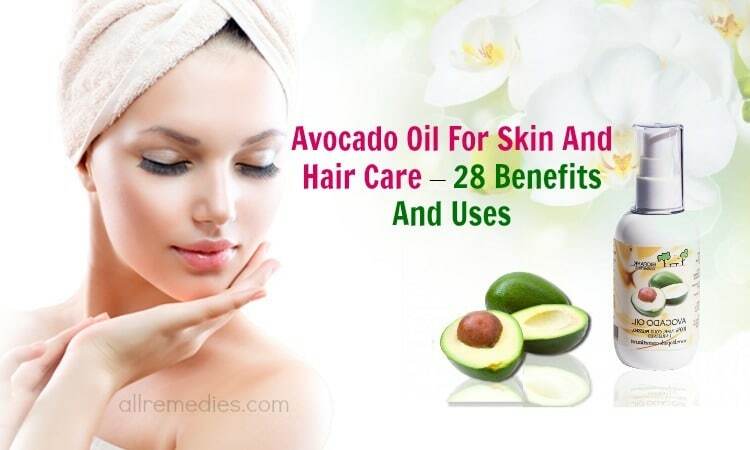 I have mentioned about 28 benefits and uses of avocado oil for skin care and hair. I hope that you are satisfied with all the things I have shared. For any opinions, you can leave them bellow the post. I would like to answer them soon.